It’s that time of year again where we sit down and think about the coming year. And even if you think that a formal New Years Resolution is kinda clichéd, it’s still important to set some goals and figure out how you can improve and grow in the new year. One goal to think about is improving your self care, which is the way that you take care of yourself. Let’s face it; we often neglect ourselves in order to take care of everyone and everything else. So make 2019 the year that you resolve to make taking care of yourself a priority. Here are 15 resolutions for better self care next year. Drink more water: While there’s no set formula for how much water a person should drink, it’s important to stay hydrated. For some people, this means 8 cups a day, but other people (especially people who are very active or who live in a dry climate) may need a lot more. According to the Mayo Clinic, you’re probably drinking enough if you don’t usually feel thirsty and your urine is light yellow or colorless. Aim for 7-8 hours a night: It’s no secret that the majority of people get way less sleep than they should. With everything that you have on your plate, it can be hard to prioritize sleep. But getting enough sleep – experts recommend around 7-9 hours each day – is actually really important! Many health problems have been associated with sleep deprivation, including psychological problems, heart disease, obesity/weight gain, diabetes, and high blood pressure. Meditate every day: Meditation has been shown to have so many positive effects on the body and mind, such as reducing blood pressure, lowering anxiety, and improving your focus, memory and attention. The best thing is you can get all of these benefits with only minutes a day; there’s no need to spend hours at a time. Schedule regular self care: If you struggle with finding time to squeeze in your self care, actually put it on the calendar or your “to-do” list. Make it a priority by finding the time in your busy schedule, even if it’s only 5 minutes to squeeze in a meditation session. Take time off from social media: While social media does have it’s benefits, and for some people is essential for work, spending too much time on it has been linked to stress, anxiety and depression. Give yourself an hour off a day, or even consider a regular tech-free Sunday. Look at your triggers and signs of stress: It’s no secret that stress is a killer. High stress levels have been associated with many health conditions, like tension headaches, heart disease, high blood sugar levels, and other hormonal abnormalities. Next year, resolve to take a look at what triggers your stress and the effects that it has on your body. This can help you find ways to release that stress and minimizing the effects that it has on your body. Cut out toxic people: Everyone has at least one of those people in their life. You know the one: they make snide comments, are unsupportive, or just make you feel bad about yourself. It’s time to cut them out! No more faking it with people you don’t like or who don’t make you feel good about yourself or your potential. Imagine how great it will feel to not have to deal with that toxicity anymore! See the doctor: If it’s been a while since you’ve seen your doctor, 2019 is the year! Schedule a check-up or physical exam with your primary care doctor and catch up with your recommended preventive care screenings. It’s perfectly normal to feel a little nervous, especially if it’s been a while. Even if you are young and healthy, it’s important to see your doctor regularly to find health problems early and treat them before they become serious. Look at sleep hygiene: In addition to getting more sleep, it’s important to work on getting better quality sleep. 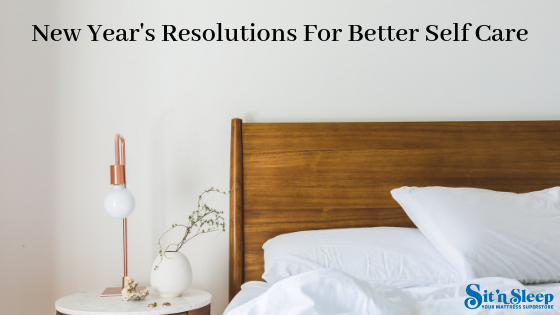 Improving your sleep hygiene can help you get more productive and restful sleep. 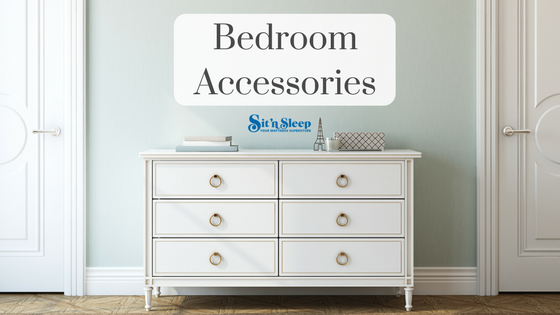 The National Sleep Foundation suggests limiting caffeine and alcohol before bedtime, keeping your bedroom cool and dark, and establishing a regular and relaxing bedtime routine. Take up yoga: Yoga isn’t just a trendy exercise class for housewives or millenials. It’s an ancient practice with many real health benefits, such as reducing stress, increasing flexibility, building muscle strength, and increasing blood flow. If you are nervous about trying an in-person class, try a video online to get started! Take a nap: While taking too long of a nap may not be beneficial (because it keeps you from sleeping well at night), taking the occasional 30-minute power nap can help give you more energy to get through the rest of your day, particularly if you didn’t sleep well the night before. Practice gratitude: Building a gratitude practice can have profound effects on your mood and attitude. Taking a few minutes each day to think about what you are thankful for, and what positive things have happened that day can improve both your physical and psychological health. It can also help to improve your sleep and build mental strength and resilience. Let go of the diet: Many people start the new year with a new diet and a new and healthy way of eating. This year, let go of the diet. Instead, focus on eating more fruits and vegetables, whole grains and lean proteins Try and cut back on the amount of sugar and processed foods that you eat. Look for healthy lifestyle habits you can build long-term, instead of the fad diet. Spend more time outdoors: It’s easy to spend a lot, if not all of your time indoors. Between work, commuting, family obligations and responsibilities at home, it’s easy to forget to get outside sometimes! But being outside has a number of benefits, including increased Vitamin D levels, better focus and concentration, reduced anxiety and improved mood. Try to take a walk outdoors every day, or find fun outdoor activities to do as a family on the weekend. Practice a screen free bedtime: Do you get in bed, scroll through your social media and email, and then plug it in next to your bed? Sound familiar? Research has shown that using a device right before bed can have a negative effect on your sleep quantity and quality. Try avoiding your phone for at least 30 minutes before bed and plug it into an outlet in a different room. What is your New Year’s Resolution for 2019? Share in the comments below!